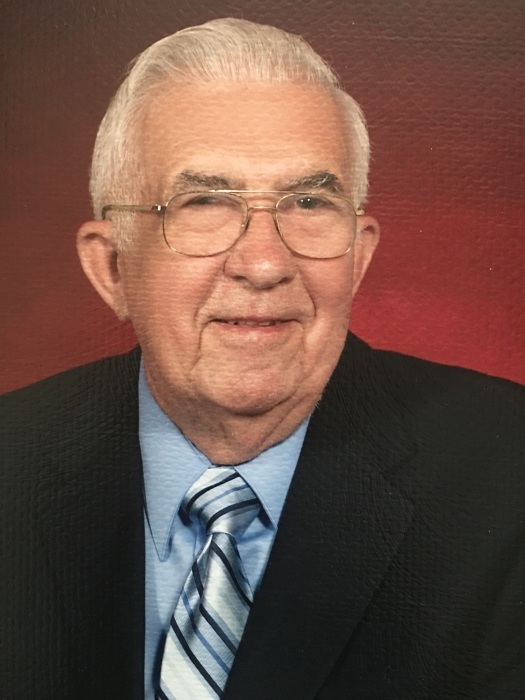 Robert G. Kerestes, 89, of Streator, passed away Wednesday, March 28 at University Hospital in San Antonio, Texas. He was surrounded by his loving family at the time of his passing. Funeral services will be Saturday April 7, 11:00 AM at Holy Trinity Lutheran Church. The Rev. John E. Gutz will officiate. Burial will be in Riverview Cemetery with full military rites. Visitation will be Friday April 6, 4:00 PM – 7:00 PM at Hagi & Baker Funeral Home. Bob was born July 29, 1928 in Streator, to George and Anna Kerestes. He married Joanne Ruddy on Dec 28, 1951 in Streator. She preceded him in death on August 29, 1994. He is survived by sons Robert (Irene) Kerestes of Helotes, TX and Michael (JoDee) Kerestes of Boerne, TX, daughter Carol (Fred Struchtrup) Kerestes of San Antonio, TX; grandchildren Jamie (Matt) Wren, Jeffrey Kerestes, Jessica Christians, Kevin Kerestes, Tara Kerestes and Koby Kerestes; great-grandchildren Camryn Wren, Jaxson Wren, Bryce Wren, Christian ‘Quint’ Christians; and brother Daniel (Ann) Kerestes of Rochelle, IL. He was preceded in death by his wife, his parents, and his brother Melvin. Bob graduated from Streator Township High School. He was a member of Holy Trinity Lutheran Church. He served in the Army. He retired from Owens-Illinois Glass Company after 45 years. After retirement he worked part time for NAPA Auto Parts. Bob loved his family first and foremost. His grandchildren enjoyed seeing him attending and cheering them on at their many activities and sporting events through the years. He bowled for many years with the Owens bowling leagues. He coached Streator Youth Baseball and also served as vice-president and president of SYB. He enjoyed gardening and making zucchini bread using fresh zucchinis from his garden. He was an avid Cubs, Bears, Bulls, and Big 10 college sports fan. He recently became a San Antonio Spurs fan. He also enjoyed spending time in Streator with his good friend Jimmy Thompson.